These were so easy to put together! My daughter and I were able to put all four together by ourselves. They look good out by pool. Will have to see how they hold up over time. Enjoy your atio again with the Cape Coral Gray Outdoor Mesh Chaise Lounge, available in both a single and double pack. Lounge out in the sun, getting your tan back on with this chaise lounge. You can curl up with your favorite book or movie and just relish in the sunlight and fresh air. The Cape Coral Gray Outdoor Mesh Chaise Lounge is sure to give you your lazy summer days back. 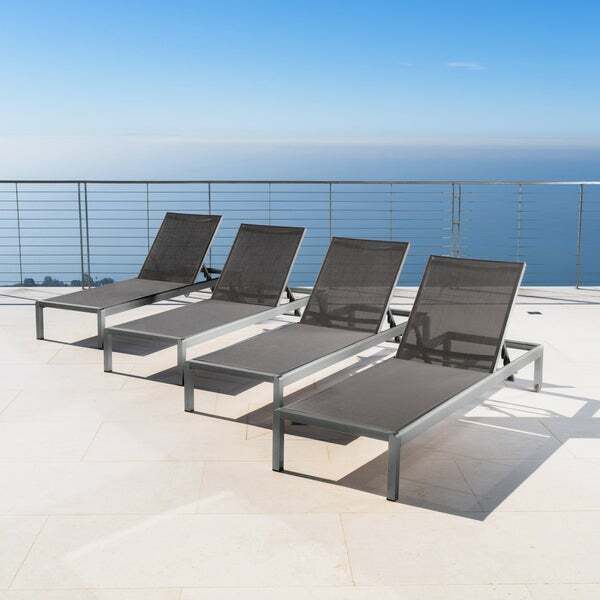 I love these Cape Coral outdoor aluminum chaise Lounge set of 4 ! Shipping is super fast and these will look beautiful at our white pool area !